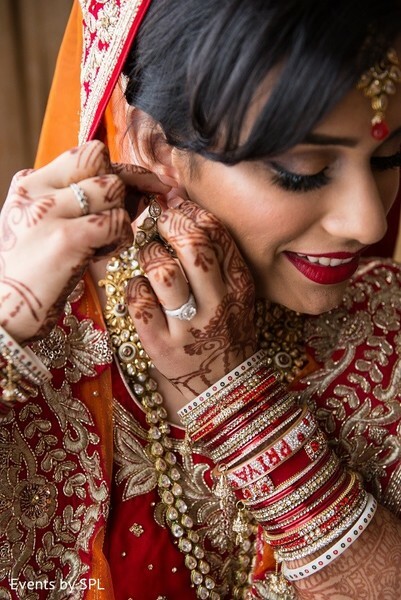 Following a string of sensational pre-wedding celebrations, Envi Event Planning has planned an even more unforgettable event for Maharani Priya — her Indian wedding. 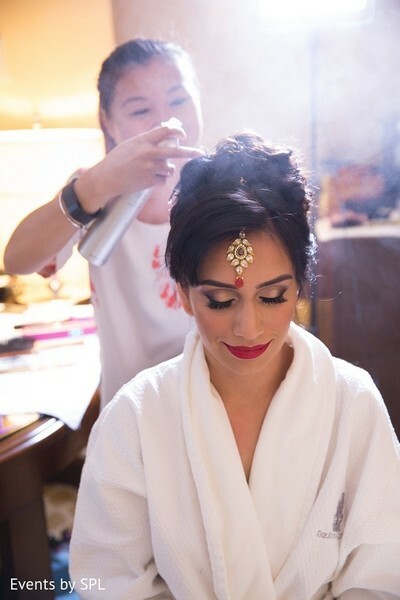 As the bride-to-be gets ready for her walk down the aisle to say I do to the Raja of her dreams, Sahil, Events by SPL steals a few of the most candid and captivating moments for her to remember the day by. 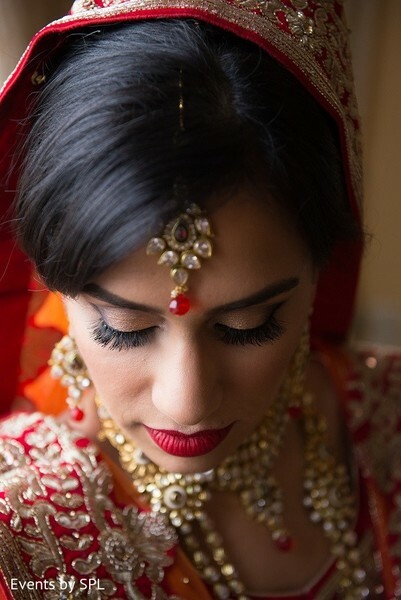 Beauty by Anh is hard a work styling Priya's ceremony do, and Erica Bogart Beauty has got her eyes, lips and face covered. 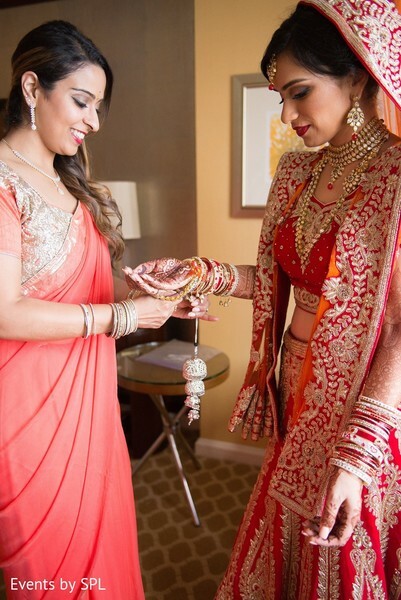 The traditional red and gold lengha she's picked out is dazzling with the perfect amount of detail, and her orange dupatta adds just the right touch of contrast. 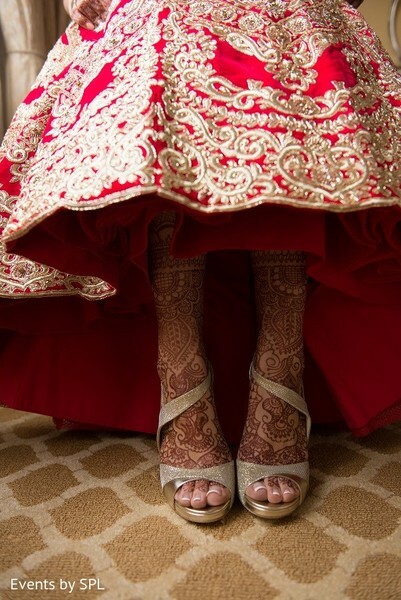 Her flawlessly mehndi'd feet, by Beauty You Deserve, are rocking a pair of glittery champagne-colored, open-toed pumps, and we can't wait for her Raja to see her! 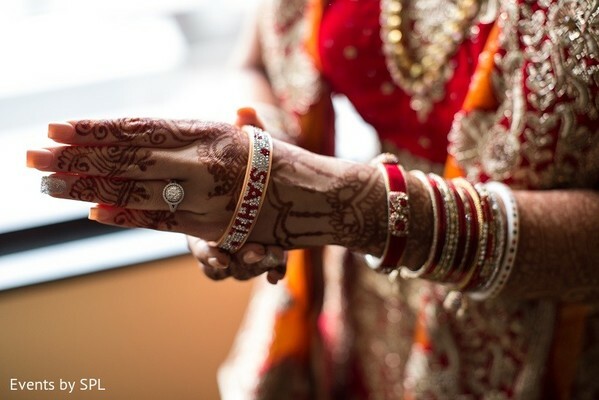 To see his reaction to Maharani Priya's splendid ceremony look, head into the complete gallery for an exclusive on their first look! 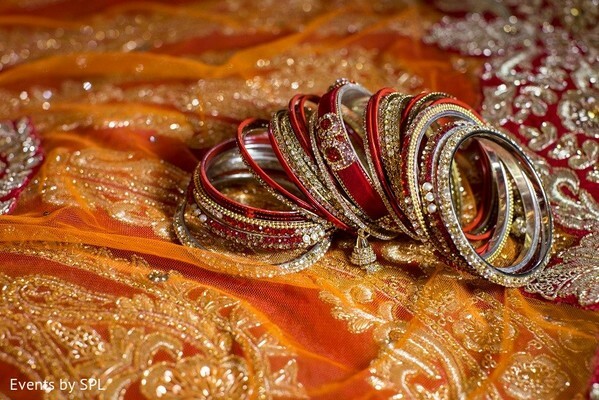 I'll be back in just a bit with details from the happy couple's wedding ceremony, so stick around!